Scientists from the Massachusetts Institute of Technology (MIT), US have built and flown the first-ever silent airplane with no moving propellers or jet turbines. At present, every aircraft have moving parts such as propellers, turbine blades and fans, which are powered by the combustion of fossil fuels or by battery packs that produce a persistent, whining buzz. 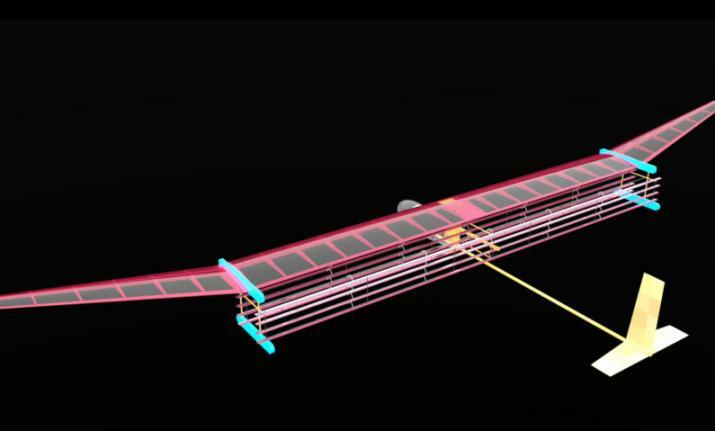 MIT researchers have designed this lightweight plane weighing about five pounds with five-meter wingspan. It was flown at a distance of 60 meters, a feat that was repeated 10 times. It was the simplest possible plane design that could prove the concept that an ion plane could fly. It is the first-ever plane having no moving parts in the propulsion system. This new light aircraft does not carry propellers or turbines and also doesn't depend on fossil fuels to fly. It is inspired from movie and television series "Star Trek". It is powered by ionic wind or electrodynamic thrust, a silent but mighty flow of ions that is produced aboard plane. It can generate enough thrust to propel the plane over sustained, steady flight. Unlike propeller-driven planes, the new design is completely silent. What is the significance of this airplane? It has potentially opened new and unexplored possibilities for aircrafts which are quieter, mechanically simpler and do not emit combustion emissions. 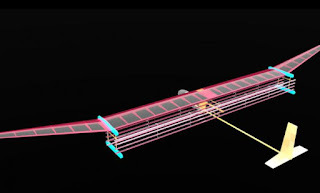 In the near-term, such ion wind propulsion systems could be used to fly less noisy drones. Moreover, ion propulsion paired with more conventional combustion systems can create more fuel-efficient, hybrid passenger planes and other large aircrafts in the future. Q. Scientists from which educational institution in the US have built and flown the first-ever silent airplane with no moving propellers or jet turbines?